Want to install USTVcatchup Kodi addon 2017 in USA? Here’s how you can do that the right way on your existing Kodi set-up. Any seasoned Kodi user will already be well-aware of the tons of add-ons which give access to the latest and greatest TV shows. And if you are a fan of that type of TV, and want to make sure that you keep abreast of the latest airings, then you will likely already have your add-on of choice. 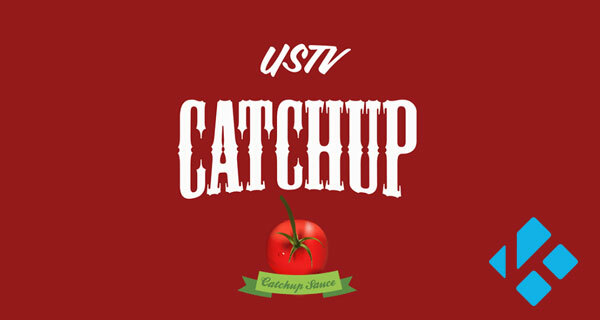 However, if you prefer to be entertained by programming from some of the smaller niche channels, or just love yourself some bakery shows or documentaries, then the USTVcathup add-on should definitely have you covered. Let’s dive right in and take a look at the installation process. Step 1: First and foremost, you will need to launch Kodi and then click or tap the ‘System Settings’ icon, and head over to the the Add-ons section. Step 2: In the Add-ons section, you will find an option titled Unknown sources. To the side of this, there will be a toggle button; make sure that this is set to the On position. Step 1: Select the ‘System Settings’ icon on the Kodi installation and then head directly to File manager. Once inside the File manager, click on the Add source option. Select OK to exit, and then make sure that the source is given a name that you will remember. We will just call this .fusion2. Step 3: Head back to the default Home screen and select Add-ons. Select the icon which looks like an ‘open box’ and then choose the Install from zip file option. 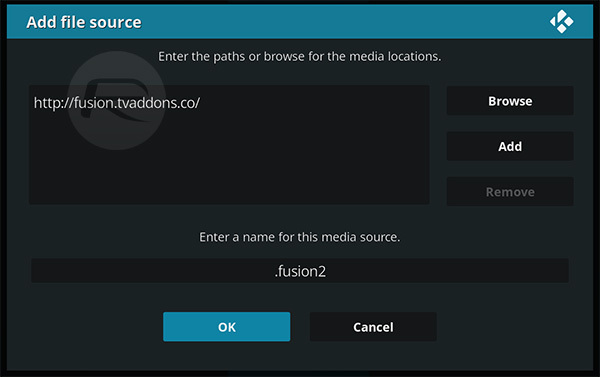 Step 4: Now select the .fusion2 source and then navigate to kodi-repos > english. Here select the repository.xbmchub-3.0.0.zip file. Step 5: Jump back a step and select the Install from repository option. Navigate to TVADDONS.CO Add-on Repository > Video add-ons > USTVcatchup. Here you can view information about the add-on before selecting the Install option to download and install it. 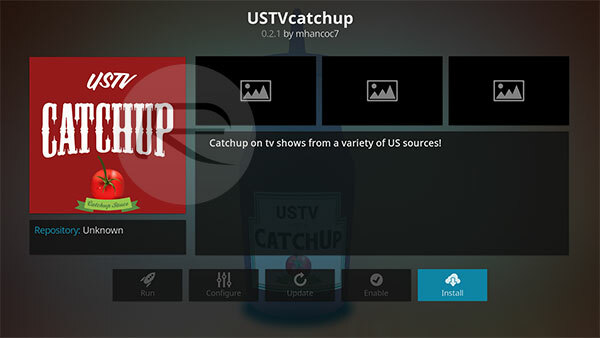 You should now have the USTVcatchup addon installed on your Kodi, meaning that you can instantly launch it and get up and running with everything that it offers. Enjoy!